Problem Gambling Advocacy Day Coming Up Next Month! 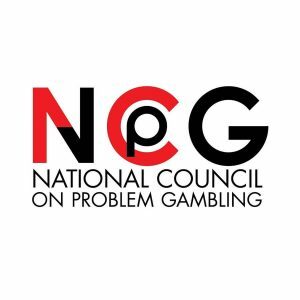 The National Council on Problem Gambling (NCPG) is urging stakeholders to join from New Jersey and other states to D.C. to attend this year’s event. Problem Gambling Advocacy Day (PGAD) will go down on April 10th, 2019. On this day of action, attendees will have the chance to share personal stories and concerns with elected leaders. The PGAD will bring supporters and lawmakers together to highlight the importance of developing stronger policies related to problem gambling. One priority people will be discussing is how some of the $7 Billion from tax revenue can contribute towards helping people. In fact, some believe it could fund education, research, and prevention too. NCPG’s Keith Whyte said, “America is experiencing the largest gambling development in our nation’s history. Now’s the time to show our strength and share our stories.” He later expressed concerns for people who are suffering from gambling problems. Plus, how the industry must be the voice for those hurting from poor habits. All in all, personal stories are critical if we want to educate representatives on how we can help people change the way they play the game. Also, it’s a great chance to point out the gaps and find a way to fill the void. By encouraging lawmakers to address this issue, we’ll be able to bring much-needed attention to gambling addiction. Most importantly, PGAD is a day in which operators and lawmakers can all work together to create a meaningful change towards gambling. But this day can also help change the view of gambling. But, it will open the discussion and create awareness on potential problems that may occur due to gambling. As you know, online casinos NJ are only for entertainment. And they promote 1-800-gambler. In fact, they have to do that to get a license from the DGE. Plus, all 100% legal online casinos NJ also have a section on Responsible gambling. Yet the PGAD may see other important measure surfaces that could affect the online gambling industry across America.